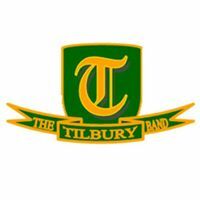 The Tilbury Band is a traditional Brass Band, founded in 1919 by the Tilbury Branch of the National Union of Railwaymen. On July 1st, the first meeting of The Tilbury Railwaymen Band was formed. We are very proud to still be competing locally and nationally in the Second Section and the band working hard right now on the test piece for the Area Championships in April. We are also hugely excited about next year, 2019, Tilbury Bands Centennial year. Tilbury Band already runs a training band “The Tilbury Brass & Percussion Academy” which brings together intermediate as well as those less experienced players and “raw beginners” of all ages. The Academy aims to provide advanced tuition to players, increasing their musical knowledge, playing ability and providing experience in ensemble playing in preparation for moving on to the senior band. The academy rehearses on Sundays from 5pm to 7pm, feel free to come and join us at 101 Dock Road, Tilbury.